When you’re in a collision, your body is forcefully thrown around the vehicle. You might end up with problems such as sprain, strain and whiplash, and will almost definitely end up in pain that may take time to set in. If not addressed promptly, you may experience more chronic problems further down the road. 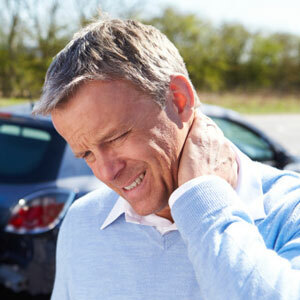 Dr. Riordan is skilled in helping people who have been in auto accidents and can make sure you don’t experience discomfort that is easily preventable with effective, gentle chiropractic care. The first step we take is to eliminate your pain, naturally. You won’t have to rely on medications that can cause more side effects than they’re worth. We may also use physical therapy to rehabilitate your muscles and ligaments, seeking to get you back to normal as soon as possible. The average time to return to your pre-accident state is about three months, but could be as little as two or as many as six, depending on your state of health and the nature of the collision. ChiroHealth works with most insurance plans and attorneys. We ask that you bring in the accident report from the police, if you have it, as well as your insurance information and the third party’s policy. If you have legal representation, please bring that information in as well. We may be able to work with your medical insurance plan, too, so it’s a good idea to bring your card with you. Get the immediate attention you need with a same-day appointment. Free parking is available on-site to keep your visits convenient. Contact us today!